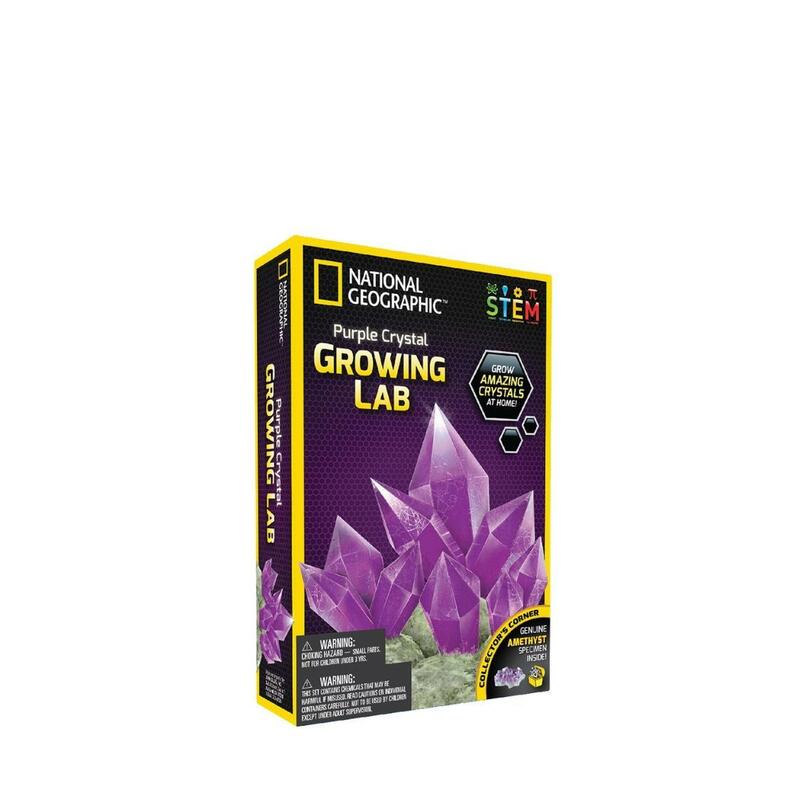 Learn more about crystals and grow your own National Geographic's Amethyst Crystal Growing Kit brings you an unparalleled crystal growing experience. This is the perfect project for kids of all ages and serves as a great introduction to geology and chemistry. This kit from National Geographic will spark a love of science in your child that will last a lifetime. Get your Crystal Growing Kit Amethyst today and discover miraculous crystals!